NEW FOR 2018! 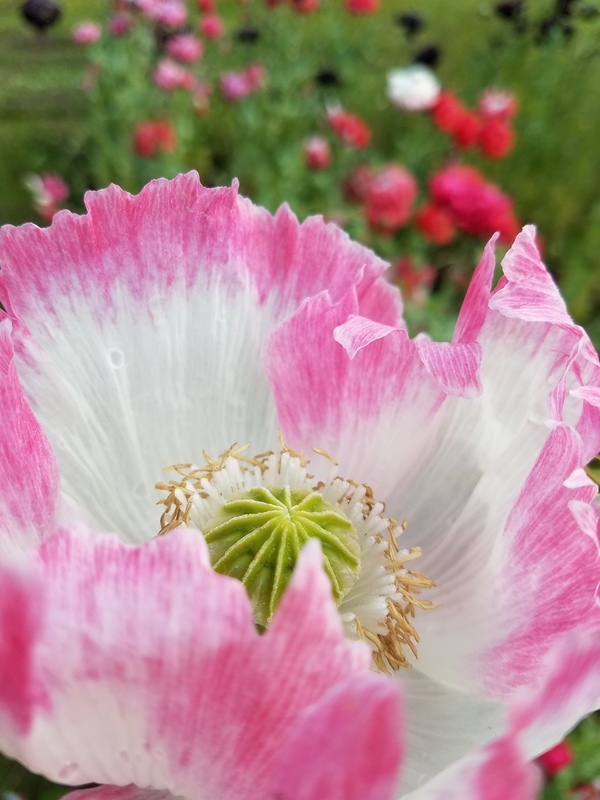 A simple white poppy with elegant pink crepe margins. This is a "rattlepod" type, useful as a quiet percussion instrument, or as an oilseed variety that won't prematurely spill the seed. Most pods have a graceful amphora shape. Farm Original Variety! OSSI (Open Source Seed Initiative) Pledged Variety.